Warta Ekonomi.co.id, Bandung - Menteri PPN/Kepala Bappenas, Bambang Brodjonegoro, melakukan kunjungan kerja (kunker) ke PT Dirgantara Indonesia (Persero) di Bandung, Senin (28/1/2019). Ia meninjau hanggar Fixed Wing dan KFX/IFX. Dalam kunjungan kerja tersebut Menteri Bambang disambut Presiden Direktur PT Dirgantara Indonesia (Persero), Elfien Goentoro, Direktur Bidang Perdagangan Irzal Rinaldi Zailani, Direktur Bidang Teknologi dan Pembangunan Gita Amperiawan, Direktur Bidang Produksi Arie Wibowo, Direktur Bidang Pembiayaan Ahyanizzaman, dan Direktur Umum dan SDM Sukatwikanto. 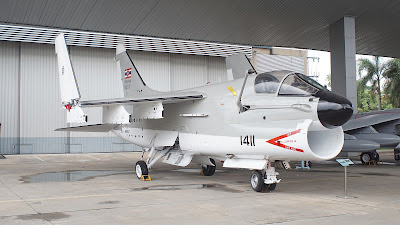 Usai meninjau hanggar Fixed Wing dan KFX/IFX, Menteri Bambang menjelaskan beberapa tantangan pembuatan jet tempur KFX/IFX khususnya dan PT Dirgantara Indonesia (Persero) secara umumnya. “Tantangan ke depan dalam produksi KFX/IFX adalah menurunkan cost sharing Indonesia hingga 10%, kepemilikan HAKI yang lebih besar, serta transfer of technology yang lebih menguntungkan Indonesia," ujar Menteri Bambang di Bandung, Selasa (29/1/2019). Selain itu, Menteri Bambang juga menjelaskan apa tantangan yang akan dialami PT Dirgantara Indonesia (Persero). "Sementara, tantangan untuk PT Dirgantara Indonesia (Persero) sendiri adalah mission system yang dapat beroperasi, kanibalisasi sparepart, durasi waktu servis yang lebih panjang, serta lifecycle sparepart yang lebih panjang,” jelas Menteri Bambang. 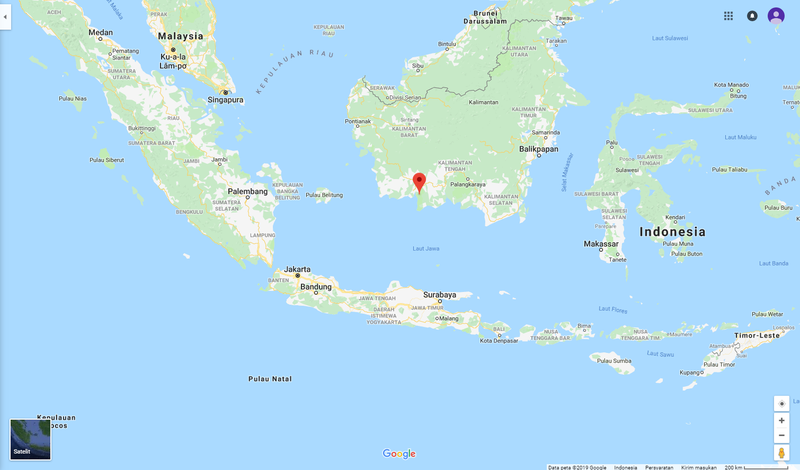 Beliau juga memberikan dukungan terhadap pengembangan pesawat N219 untuk menjembatani konektivitas antar pulau terluar dan terpencil di Indonesia. Turut hadir sebagai bagian rombong Kementerian PPN/Bappenas, yaitu: Sekretaris Kementerian PPN/Sekretaris Utama Bappenas Gellwynn Jusuf, Deputi Bidang Politik, Hukum, Pertahanan dan Keamanan Slamet Soedarsono, Deputi Bidang Pembangunan Manusia, Masyarakat, dan Kebudayaan Subandi, Staf Khusus Menteri PPN/Bappenas Eko Putro Adijayanto, Direktur Pertahanan dan Keamanan R.M Dewo Broto, dan Kepala Biro Humas dan Tata Usaha Pimpinan Parulian Silalahi. Australia's Ministry of Defense is willing to spend up to A $ 6 billion (AUD) to equip the country's most advanced submarine fleet with the latest weapons. Australia's Ministry of Defense confirmed they had allocated 5-6 billion AUD for weapons, most likely including underwater unmanned equipment and air defense missiles, for 12 new submarines, expected to be put into use in the 2030s. The amount is not included in the cost of 50 billion AUD for submarine construction and will pay for submarine armament during their operational life, is expected to last until the end of the century. According to the Australian Ministry of Defense, Australia will have a new submarine every two years, meaning that the new submarine will eventually be operational by the 2050s. With each submarine operating for about 30 years, the Australian Navy may operate them until the 2080s. The Australian Defense Department confirmed to the Senate that the money would be sufficient for weapons and deployment systems on submarines. The weapons include torpedoes and missiles, as well as new systems and technologies. The submarines will deploy unmanned disposable devices, sensor networks to detect enemy ships. Modern submarines also have the ability to use vertical missile tubes to shoot down submarine hunting helicopters. 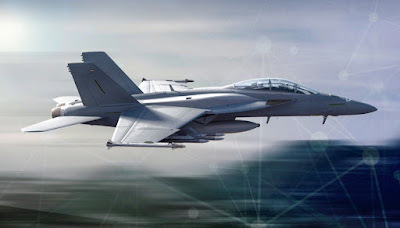 Boeing’s Block III upgrades for the Super Hornet platform will enhance the interoperablity of 4th and 5th generation strike and air combat capabilities of many air forces, with the RAAF’s Super Hornets prime candidates for the modernisation program. Increasing the interoperability and lethality of 4th and 5th generation combat aircraft is dramatically shifting the way contemporary air forces operate in the 21st century battlespace. Boeing’s Block III Super Hornet upgrades recognise the growing importance and role operating legacy platforms, like the 4.5 generation Super Hornet platform with 5th generation fighter aircraft like the F-35 Joint Strike Fighter. In light of this, both Boeing and the US Navy, the primary operator of the Super Hornet platform, established the Block III Super Hornet concept to work as an effective partner for the US Navy’s fleet of carrier-capable, low-observable F-35Cs. 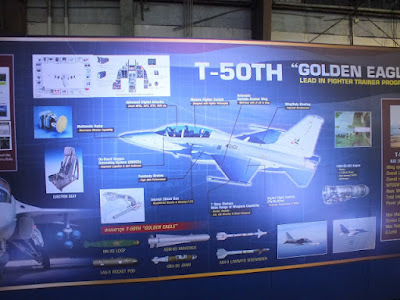 This concept is similar to the emerging “high-low” capability concept being developed by the US Air Force, which seeks to operate 4th, 4.5 and 5th generation aircraft in complementary roles, leveraging the unique strengths of the various platforms. 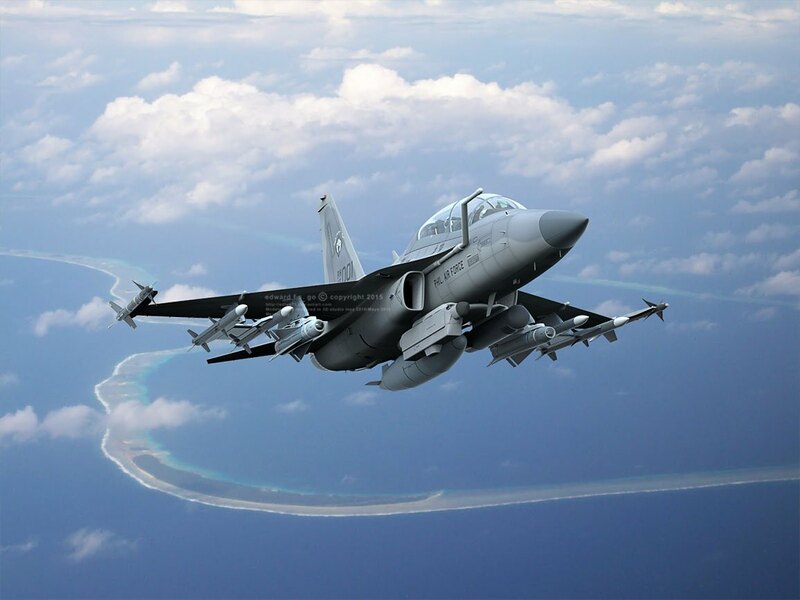 Defence Connect first introduced the high-low combination of aircraft in late 2018 following an announcement by the Pentagon introducing the F-15X, a heavily modified and modernised variant of the F-15E Strike Eagle variant, which would see the F-15X, “seamlessly plug[ing] into their existing air combat infrastructure as part of better-defined high-low capability mix strategy”. *The Lockheed Martin Mobile User Objective System (MUOS) satellite communications (SATCOM) link to share targeting data with friendly forces operating outside the range of line-of-sight radio communications. *A specialised Tactical Targeting Network Technology (TTNT) network, developed by Rockwell Collins, currently operating on the EA-18G Growler and the E-2G Hawkeye airborne early warning and control (AEW&C) aircraft, allowing for the rapid transfer of large volumes of data even in contested environments. The TTNT system also enables the Super Hornet to act as part of an integrated Naval Integrated Fire Control - Counter-Air system, enhancing the lethality and survivability of surface combatants. *A specialised Infrared Search and Track (IRST) sensor, which would provide Block III Super Hornets with an air-to-air combat advantage through specialised tracking capabilities, allowing a single aircraft to locate the direction of an enemy combatant beyond visual range (BVR) with two Super Hornets able to triangulate the precise location of the enemy aircraft. *An Advanced Cockpit System (ACS) enabling a form of data fusion, drawing together sensor information to be displayed to the pilot in a clear and intuitive picture. *Conformal Fuel Tanks (CFT) developed by Boeing in partnership with Northrop Grumman, enabling an increased range of approximately 120 nautical miles (222km) without impacting aerodynamic performance. 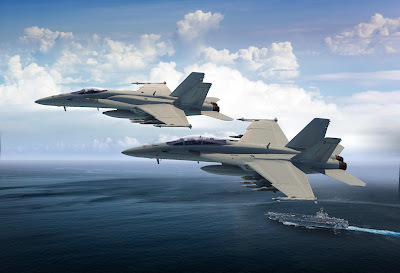 Additionally, the Block III Super Hornets will receive a 10 per cent in radar cross section (RCS), enabling high rates of survivability and low-observability in contested and heavily defended, integrated air defence (IAD) networks. However, these RCS improvements would be negated by increased under-wing armament capacity. 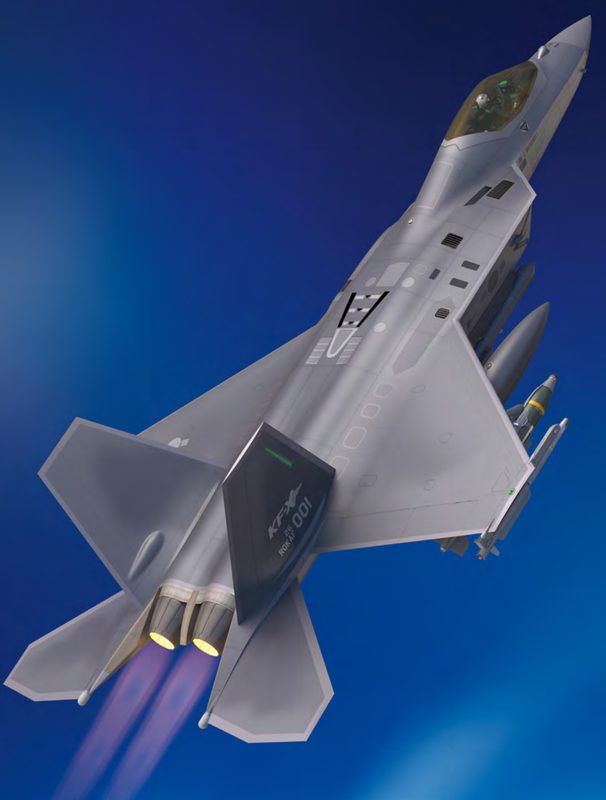 The Block III upgrades also include an upgrade to the existing F414 engine, providing a 20 per cent increase in thrust with improved fuel economy, complimenting the introduction of the conformal fuel tanks, while the life of the airframe will be increased from 6,000 flight hours to approximately 9,000 flight hours. 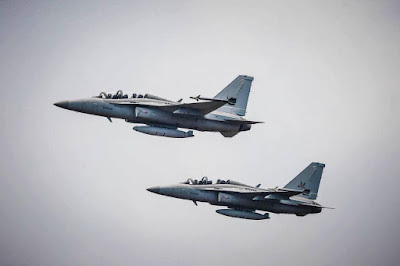 Australia currently operates a fleet of 24 F-18 E/F Super Hornet and 11 E/A-18G Growler aircraft, originally acquired to prevent a capability gap between the retirement of the RAAF’s legacy F-18 A/B Hornets and the introduction of the F-35A Joint Strike Fighter. Australia’s fleet of Super Hornets and Growlers have established themselves as a world-leading capability following deployments in support of allied air operations in the Middle East and APEC 2018. 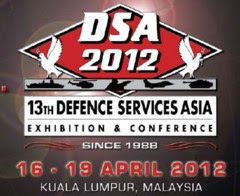 The enhancements designed as part of the Block III new build/modernisation plan would enable Australian Super Hornets to serve in conjunction with RAAF F-35s and broader coalition operations utilising a combination of 4th, 4.5 and 5th generation combat aircraft to overcome the evolving threat environments currently developing around the world, but critically, Indo-Pacific Asia. Tujuh Helikopter Latih S 300 C milik Penerbad dengan Nomor Registrasi HL- 4217, Hl-4218, HL-4219, HL-4220, HL-4221, HL-4222 dan HL- 4223 dilaksanakan verifikasi persetujuan penerimaan (acceptance approval) melalui uji terima/fungsi dalam kelaikan terbang (acceptence test flight) di Skadron 11/Serbu Lanumad A. Yani Puspenerbad, Semarang (Selasa, 22/1/2019). 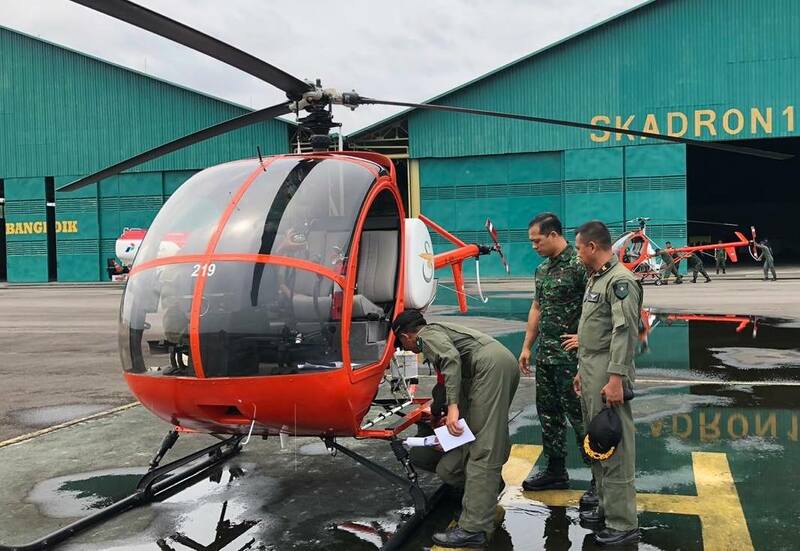 Pelaksanaan acceptance test flight berjalan dengan lancar, sebanyak 6 unit helikopter latih serviceable dan 1 unit helikopter latih NOREG HL-4220 masih terdapat kendala pada magneto. Tim Kelaikan Kolonel Cpn A.A. Ngr Romy Satryadi yang diundang selaku pengamat dalam kesehariannya sekaligus menjabat sebagai Kasubdisstand Dislaikad menyarankan untuk melakukan kegiatan penyempurnaan segera dengan melibatkan personel dari Pusdik dan Bengpus Penerbad. Vietnam 'Nearly Owned' Molniya Ship with Moskit Missile? 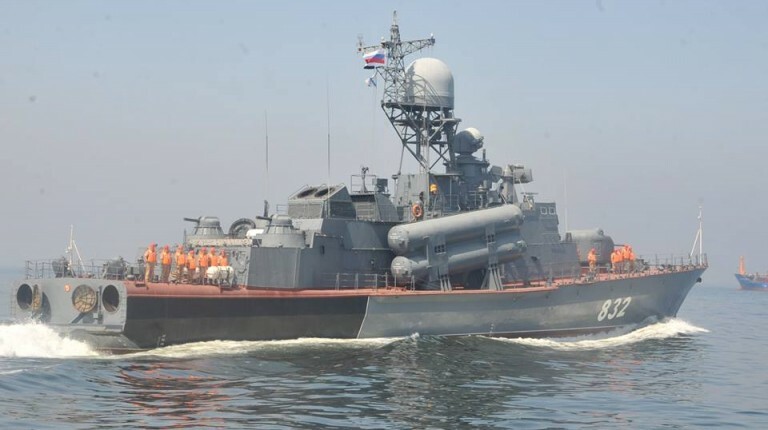 Some sources said that Russia had offered Vietnam a version of the fast-attacking missile ship Molniya Project 1242.1 equipped with Moskit-E supersonic missiles. Currently in the Vietnamese People's Navy staff there are two classes of Molniya fast-attack missile ships, which are 4 versions of Project 1241.RE carrying 4 P-15 Termit bullets and 8 1241.8 projects (2 ships entering Exported from Russia, the remaining 6 ships in Vietnam built themselves in the country) equipped with 16 Kh-35 Uran-E missiles. 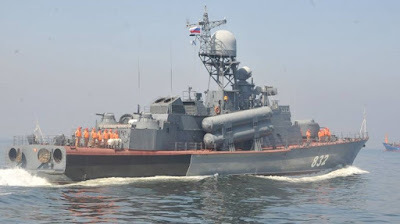 In addition to the above two Molniya variants, Russia and the Project 1242.1 version carry 4 3M80 Moskit supersonic anti-ship cruise missiles, which is very powerful, with Mach 3 speed, carrying 280 kg heavy warheads and range of 120 km, enough to sink large ships. There have been many questions about why Vietnam did not choose the Molniya 1242.1 version with the Moskit missile but put its faith in the two variants, one of which is Moscow's theory that only agreed to sell the rocket 3M80 only for Beijing. However, this seems to be inaccurate, because there was a source of information immediately after Vietnam ordered 4 Molniya Project 1241.RE in the early 2000s, Russia offered the Project 1242.1 variant with the Moskit-E missile. In addition to Vietnam, it was known that Russia also promoted selling similar products to the Turkmenistan Navy, but then their attempts to both customers were unsuccessful. The reason has not been announced clearly but according to the assessment, the main reason lies in the fact that Moskit missiles are too expensive and complicated in operation and maintenance. 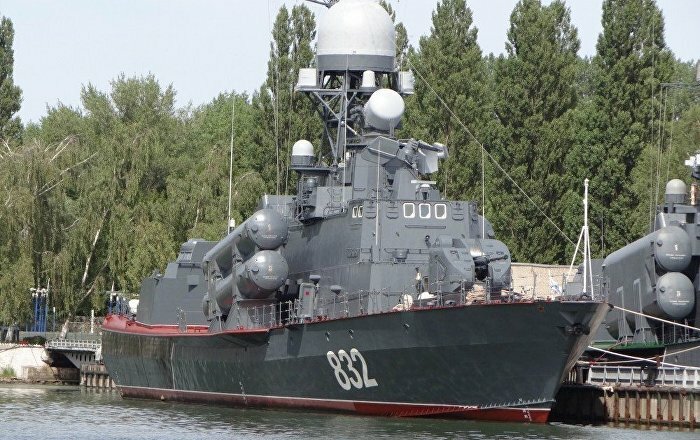 It was not until recently that Russia sold a rocket ship that quickly attacked Project 1242.1 Molniya to the Egyptian Navy, but this was almost "promotion goods" for this North African country because they had bought Moscow's many current weapons. The fact that the Vietnamese Navy does not have the Moskit supersonic anti-ship cruise missile in the payroll may cause a lot of regret because clearly compared to Kh-35 Uran-E or P-15 Termit, it is many times stronger. . Even so, we probably do not need to linger too long, because if there is a need to upgrade the Molniya 1241.8 firepower, Russia has made a modernized version of Kalibr cruise missile available with many superiority features. 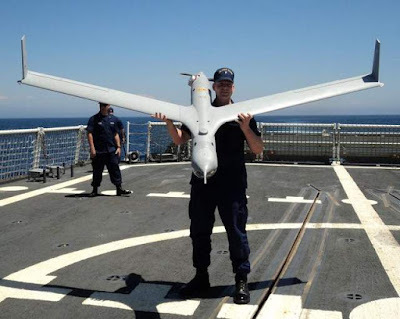 Bila tak ada aral melintang, Pusat Penerbangan TNI Angkatan Laut (Puspenerbal) akan mendapatkan enam unit drone intai taktis ScanEagle dari Amerika Serikat. Diproyeksikan drone buatan Insitu Inc. (anak perusahaan Boeing) ini menjadi bagian penerimaan alutsista TNI untuk TA 2019 ini. 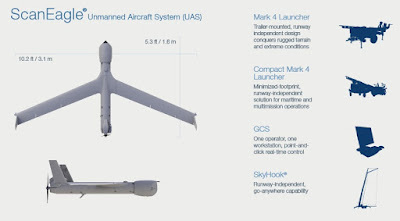 Situs janes.com mewartakan drone ScanEagle tersebut merupakan hibah dari AS untuk negara sahabat di kawasan Asia Tenggara sebagai bagian dari program MSI (Maritim Security Initiative). Selain Indonesia, negara lainnya yakni Malaysia, Filipina, dan Vietnam juga mendapatkan ScanEagle. Paket MSI akan meningkatkan kemampuan keempat negara untuk melindungi wilayah maritim dan sumber daya ekonominya. Wahana ScanEagle akan digunakan untuk melaksanakan patroli maritim, integrasi ISR (intelijen, pengawasan, dan pengintaian). Di kawasan Asia Tenggara-Pasifik, drone ScanEagle telah digunakan oleh Angkatan Laut (AL) Singapura. Pengguna lainnya adalah AL dan Angkatan Darat (AD) Australia. Bahkan, ScanEagle milik Militer Australia telah teruji perang (battle proven) saat digunakan di palagan Iraq. 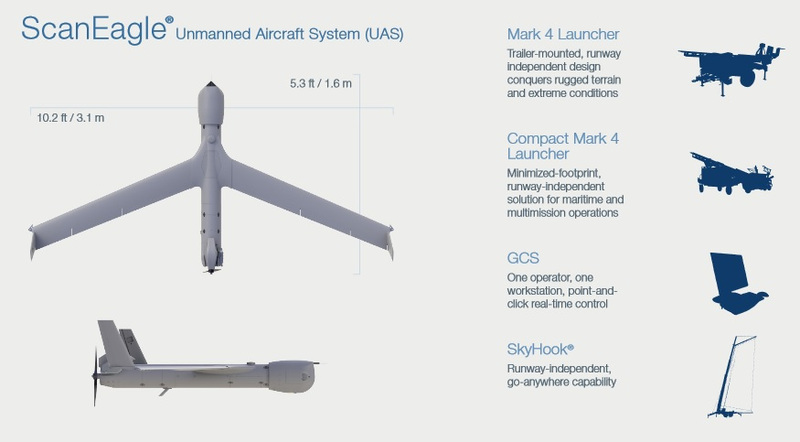 Menganai drone ScanEagle sendiri, wahana intai ini memiliki spesifikasi panjang 1,5 m, rentang sayap 3,1 m, dan muatan 3,4 kg. Drone dengan MTOW 22 kg ini digerakkan mesin piston model pusher berdaya 15 hp. While stating that the 15-to-5 plan must continue, he added that a revision of timeframes was needed by March for phasing in new ships and phasing out existing vessels. 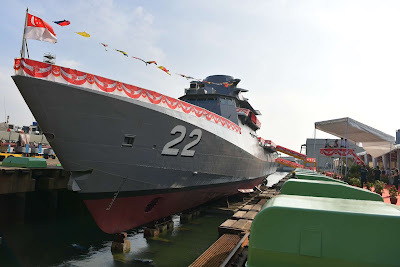 Among those ships originally slated to be phased out were four Laksamana-class corvettes in 2019-20 and four Mahamiru-class minehunters in 2019-21, but Reza reversed that schedule by declaring an intention to retain both classes. For the former, Reza said all four will be operational, with two having much of their original capabilities returned. 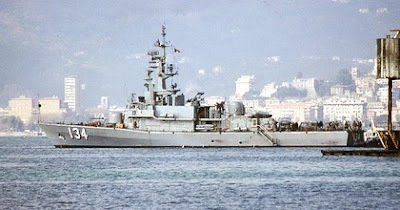 He did not specify details, but the Laksamana corvettes once had Otomat anti-ship missiles, Aspide surface-to-air missiles and A-244S torpedo launchers. 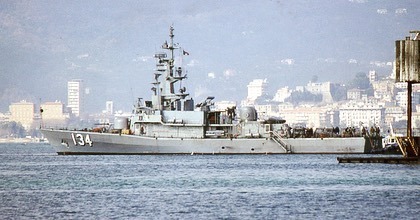 The missiles were phased out in 2014 due to obsolescence, while the torpedo launchers were transferred to two Kasturi-class frigates as a part of a service life extension programme. This programme is to be completed by the end of 2019. 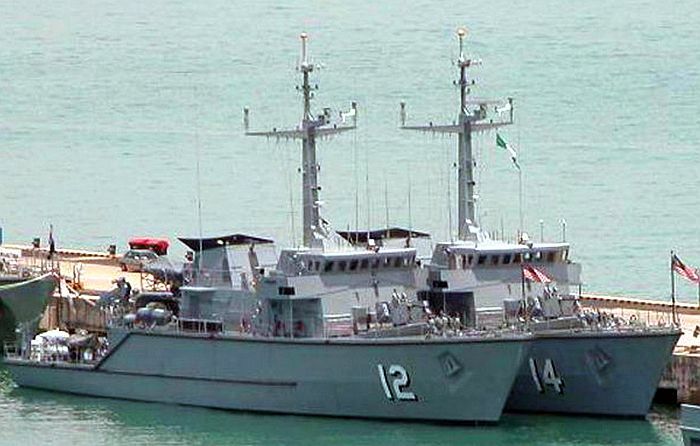 For the minehunters, he stated this involved restoring full capabilities to two vessels in 2019-20. This will likely be KD Jerai and KD Kinabalu. 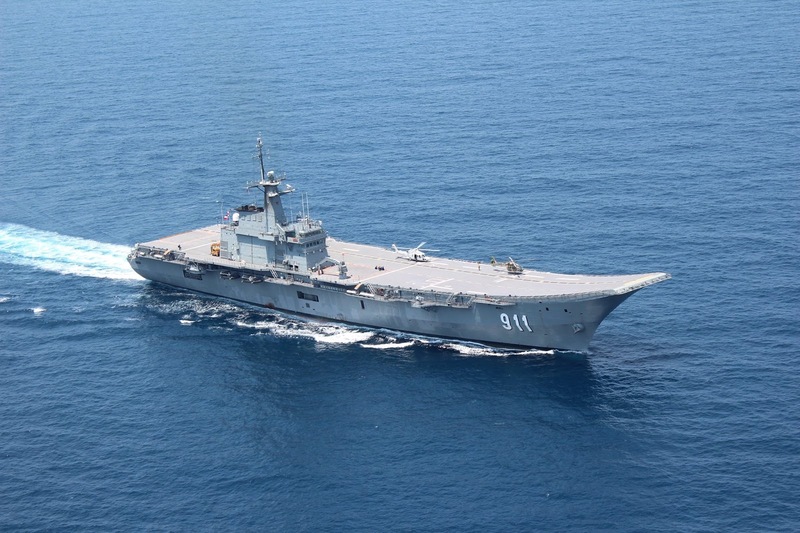 The RMN chief also said that all aspects of logistical support, operational support, human resources and infrastructure for two Littoral Mission Ships (LMS) should be completed by September, which is three months before the LMS arrives from China. 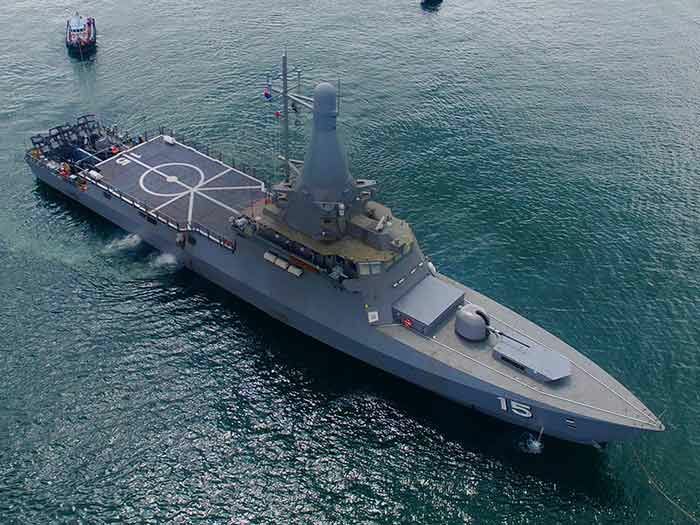 At the same time, he noted the RMN needs to push appropriate parties to minimise delays in completing Maharaja Lela-class Littoral Combat Ships. Completion of the first vessel has been delayed till the end of 2019 due to delays in delivery of subsystems, while the government is yet to sign an agreement to acquire MICA missiles. Reza also touched on three other programmes. The Fast Interceptor Craft project requires vessels to operate along the coast, particularly in Eastern Sabah. In 2014 the US offered 14 ex-USN Mark V Special Operations Craft, but the RMN aborted the acquisition due to high refurbishment costs cited by local contractors. It appears the RMN intends to restart this requirement. On helicopters, Reza explained that the RMN needed aircraft that matched RMN plans. Although he did not elaborate, it is likely he was voicing opposition to accepting any compromise based on the government’s emphasis on reducing costs. The Multi-Role Support Ship (MRSS) requirement has been ongoing since 2006. Reza advocated a feasibility study on various proposals put forth relating to this. 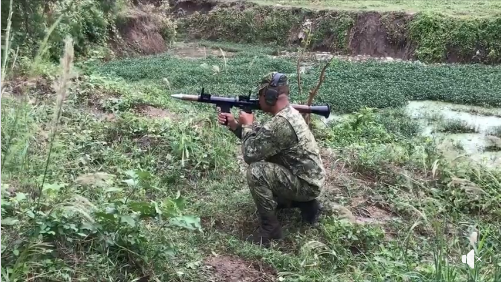 TNI AU dilaporkan telah menyelesaikan studi tentang persyaratan yang dibutuhkan untuk pengadaan pesawat berkemampuan pengisian bahan bakar di udara. 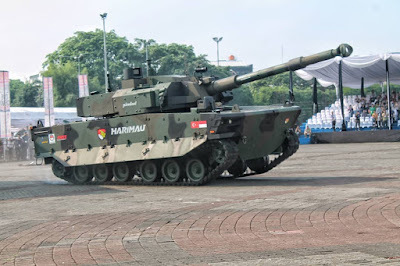 Tim kemudian mengusulkan untuk mengakuisisi dua pesawat tanker baru untuk TNI AU. Seperti dikutip janes.com, dijelaskan bahwa studi dilakukan bersama GMF Aero Asia untuk menyelesaikan parameter program dengan maksud untuk melayangkan akuisisi formal dan permintaan pendanaan dari Kementerian Pertahanan. Kesimpulan dari penelitian ini mencakup persyaratan untuk pesawat yang mampu mendukung dua jenis teknik pengisian bahan bakar di udara. Yaitu menggunakan probe dan drogue serta metode flying boom. 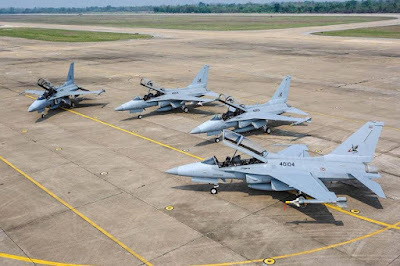 TNI AU telah menyampaikan kebutuhan anggaran sekitar 500 juta dolar AS untuk program ini, dan telah mengusulkan pendanaan dari kredit ekspor. 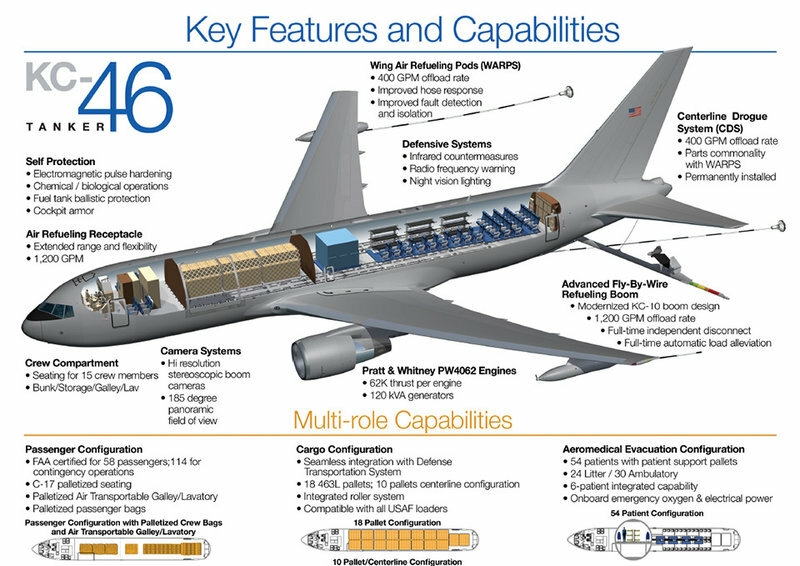 Seperti pernah dilaorkan Jane’s, TNI AU telah memulai studi pendahuluan untuk membandingkan Airbus A330 (MRTT) dan Boeing KC-46A Pegasus pada Januari 2018. Pesawat Rusia Ilyushin Il-78 juga masuk ke dalam penelitian. Mylesat.com mengutip pada awal Agustus 2018, KSAU Marsekal TNI Yuyu Sutisna menyampaikan rencana TNI AU untuk membeli sejumlah pesawat baru. Rencana ini disampaikan saat menutup Sekolah Penerbang (Sekbang) Angkatan 93 Terpadu tahun 2018 di Lanud Adisucipto (3/8/2018). “TNI AU akan meningkatkan kekuatan dan kemampuannya dengan membeli berbagai alutsista baru seperti pesawat tempur, pesawat angkut, AWACS, tanker, amfibi, heli, dan UAV,” kata Marsekal Yuyu. Guidelines for the supply of fixed-wing aircraft for the Royal Chakri Naruebet which is the first aircraft carrier of the Thai Navy and in Southeast Asia that had been analyzed earlier due to the economic crisis in the year 1997, causing the Thai Navy to be greatly affected by cuts in defense budgets during this period making it impossible to procure any new STOVL (Short Take Off and Vertical Landing), whether the Sea Harrier FA.2 fighter plane of the Royal Navy that was decommissioned in 2006 or the McDonnell Douglas AV-8B Harrier II+ aircraft of the US Marine Corps of the company Boeing, the US closed the production line in 2003. Despite the fact that the supply of the AV-8B Harrier II+ is a surplus of US Marines that will be decommissioned after the introduction of the Lockheed Martin F-35B Lightning II JSF (Joint Strike Fighter). 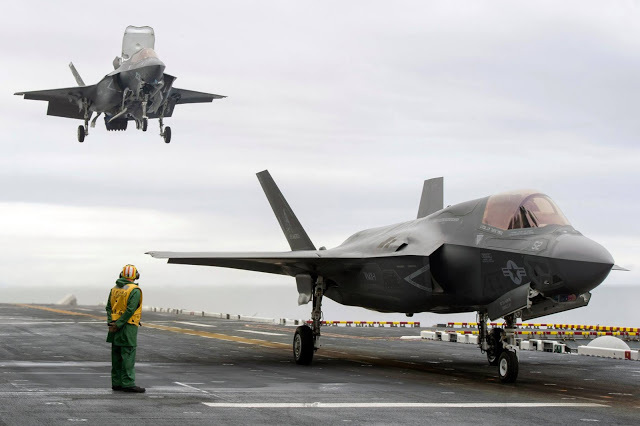 Substitution in some herds would be less likely because the US Marines would take the F-35B fighter aircraft in place of the fighter aircraft F/A-18A/B/C/D Hornet in some groups as well, which led to the gradual procurement of the F-35B. The US Marines will continue to use Hornet and their Harrier II for a while before by looking to improve their AV-8B Harrier II + with a pilot's hat attached to the display HMCS (Helmet-Mounted Cueing System) makes the US Marines unlikely to have excess equipment available for sale before being decommissioned in 2026. 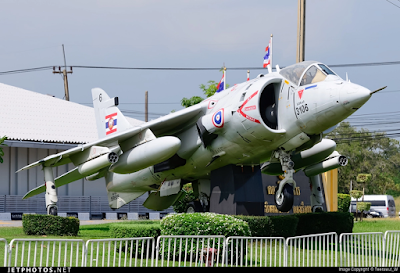 However, the Harrier II+ of the United States Marine Corps with production lines in the 1990s will last for more than 25 years, but as with the AV-8S Harrier and TAV-8S (two-seat training model), 2 types that were used in Naval Aviation Division Battle Squadron of the Royal Thai Navy that if the command set was not modified to be able to use the Raytheon AIM-120 Air Medium to Range Air-to-Air Missile range, like the model sent to the Spanish Navy and Italian Navy It's hard to call Harrier II+ as a "fighter plane", but Harrier II+ is often compared to being the most feasible option that the F-35B provides for operations in HMS Chakri Naruebet by reasoning that the F-35B is too heavy to park on the flight deck the jet from the engine is hot until the deck penetrates, large and overloaded, lifted into the hangar under the deck. In summary, the procurement of the AV-8B Harrier II+ and TAV-8B Harrier II (two-seat training model) includes 9 machines according to the demand for replacement of AV-8S fighter aircraft and the aircraft attacked the 1st Battalion A-7E and TA-7C (two-seat training version), 104 Squadron, 1 Airborne Division, 16 units that had been decommisioned. If it had to happen, it should have been done since the AV-8S was decomissioned in the year 2006. 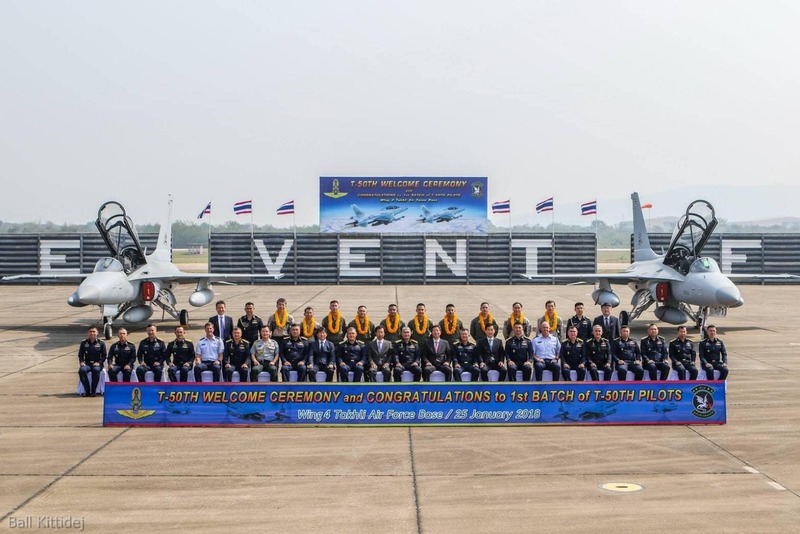 It is also very difficult for the Thai Navy to supply at least 4 new F-35Bs because of the very expensive price. 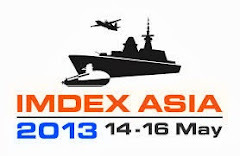 Causing if there is enough budget, should go to procure more ships or aircraft that are needed. But the question is, in terms of the features of both aircraft would it be true that the F-35B could not come to be operating on? Can HMS Chakri Naruebet replace Harrier? 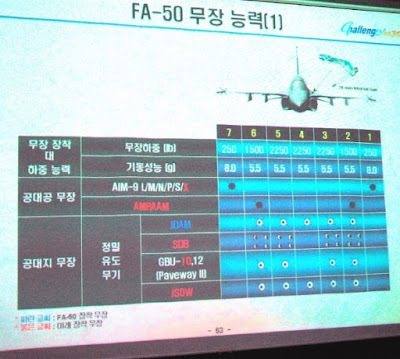 So let's look at the comparative data of both aircraft in the operation up on the helicopter carrier first. Bringing the winged aircraft to Short Take Off and Vertical Landing, such as the AV-8B or F-35B, landing on that ship, normally, the aircraft will fly from the airport on the shore, then flew to land on a boat at sea, which the pilot must check the weight of the machine whether it is under weight, the maximum landing weight or not/ In the case of flying from the airport on the shore without any weapons or equipment on the machine, the weight is still too high to be able to land. Will have to dispose of some fuel (dumping) from the device in order to reduce weight until able to float to land the vertical direction like flying from a helicopter carrier using a short runway, where the machine will be equipped with weapons and fuel in the load that runs up from the ship and when returning to land on the ship, if the weapon is not used It is necessary to disarm the equipment or the jettison fuel tank to reduce the weight. That makes the helicopter-run cargo ship Ski-Jump able to make the AV-8B Harrier II or F-35B Lightning II fly by installing more weapons. And can use shorter runners. 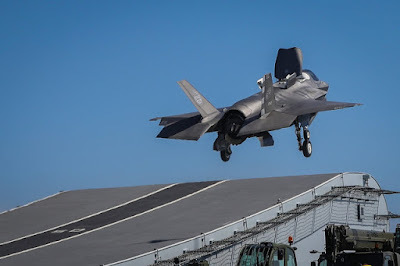 If compared to a helicopter carrier with a smooth deck throughout the ship or for the aircraft carrier Queen Elizabeth class of the United Kingdom Navy with a long flight deck leading the F-35B using a vertical landing method using SRVL: Shipborne Rolling Vertical Landing. In general, the AV-8B Harrier II or F-35B Lightning II will land on the same helicopter carrier as the rotary wing aircraft. Is flying towards the deck of the ship then fly floating alongside the ship then slowly tilt the device into the deck. For the AV-8B Harrier II, pilots must choose the flight mode as VSTOL. Flap leveling is a STOL adjust the cooling water injection engine model to TO, in case of flying up or LDG, in case of landing, set the limit barrier, the lever to adjust the angle of the throttle beside the throttle. In the run-up from the ship, the AV-8B will run up by adjusting the jet tube angle at 0-30 degree to increase speed before the machine runs to the end of the flight deck. The boat will adjust the jet pipe angle to 60 degree to increase the first lift. When the speed is high enough, it will adjust the angle of the jet to 0 degree. Mode, fly, NAV, flap to Auto and turn off the water. As for the landing on the ship, the AV-8B must have a total weight of less than the maximum landing weight. Reduce the speed of the machine towards the stern, adjust the flight flap mode and water. Adjust the jet tube angle to 90 degree to float at the same speed as the ship. Alongside the ship and tilting before landing on the flight deck. The Harrier family is the first model that has been designed since the 1970s. 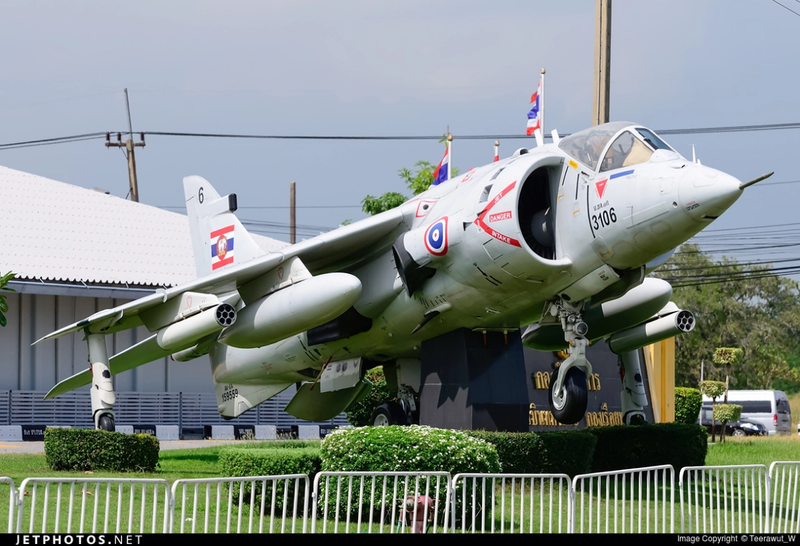 Even the second generation Harrier II will have improved avionic systems and more advanced Flight Control flight control systems. But it is considered very limited, in particular, the engine must be checked not to overheat the limit until it fails. Therefore, compared to the F-35B to force the machine to land or fly from the ship, it is much easier to control. By simply pressing the ON button to turn off the VTOL mode once. The Turbofan engine model, Pratt & Whitney F135-PW-600 and Rolls-Royce Lift System Lift Fan, enter the STOVL model, which controls the STO model or floating HOVER can be selected from the large touch screen (LAAD: Large Area Avionics Display), which will help the pilot control the automatic angle adjustment of the engine and lift fan, making it highly secure and accurate. Although the F135W-600 engine with the F-35B's Lift System will have a high heat emitted from the jet pipe, it is much higher than the Rolls-Royce Pegasus F402-RR-408 Turbofan engine of the AV-8B Harrier II. Until significant, therefore it is not that the size will make the deck fly easily in which to fly up or land on the helicopter carrier. The jet from the engine will not blow down the deck straight forward for a long time including the renovation of new flight decks, such as coatings, urethane coating, additional heat-resistant formulations and painted a new mark on the floor. 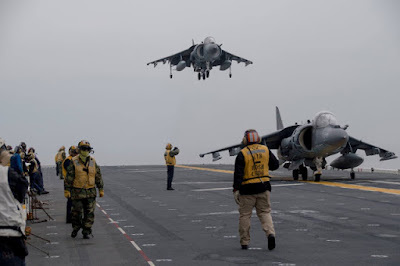 The runway had time to follow the cycle, such as the landing craft ship, the helicopter, the Wasp (LHD: Landing Helicopter Dock), which was previously active. The Joint Strike Fighter (JSF) project will take place, then completed the operation with the F-35B. In the operation with the AV-8B before that, the deck had burned a long way before. ANGKASA REVIEW - Pemerintah Indonesia sepakat untuk melanjutkan proyek bersama pembuatan jet tempur Generasi 4,5 dengan Korea Selatan. Meski demikian, Tim Renegosiasi yang dibentuk dan diketuai oleh Menteri Koordinator Bidang Politik, Hukum, dan Keamanan (Menkopolhukam) Wiranto mengusulkan kepada Dewan Perwakilan Rakyat (DPR) RI untuk hanya membeli 16 unit IFX saja bagi TNI Angkatan Udara. “Pembelian dilakukan secara bertahap sesuai ketersediaan anggaran yang disediakan oleh Pemerintah RI,” demikian tertulis dalam tujuh butir usulan yang disampaikan Tim Renegosiasi dalam Rapat Dengar Pendapat (RDP) Komisi I DPR RI dengan Kementerian Pertahanan, Mabes TNI, dan instansi terkait lainnya, Rabu (23/1/2019). 1. Penurunan nilai kontribusi dengan tetap mempertahankan target yang ingin dicapai oleh Pemerintah RI, yaitu Penerapan Persyaratan Khusus RI, kemampuan produksi, pemeliharaan, modifikasi, dan peningkatan kemampuan. 2. Perpanjangan jadwal pembayaran kontribusi hingga tahun 2031. 3. Amandemen perjanjian asistensi teknis, agar para insinyur PTDI dapat berpartisipasi untuk mendapatkan 129 teknologi pesawat tempur. 4. Hak Kekayaan Intelektual atas kontribusi Pemerintah RI. 5. Pemerintah RI dalam hal ini PTDI memiliki hak untuk memasarkan pesawat tempur KFX/IFX. 6. Pembelian IFX untuk TNI AU dilakukan secara bertahap sejumlah 16 unit pesawat sesuai dengan ketersediaan anggaran yang disediakan oleh Pemerintah RI. 7. Kemungkinan imbal dagang sebagai pembayaran kontribusi Pemerintah RI dan pembelian IFX. Tim Renegosiasi KFX/IFX dari Indonesia rencananya akan langsung menggelar pertemuan dengan Tim Renegosiasi dari pihak Korea Selatan di Jakarta pada 24-25 Januari ini. Sebelumnya, saat jumpa pers sosialisasi hasil Preliminary Design Review (PDR) Program Jet Tempur KFX/IFX yang digelar PT Dirgantara Indonesia di Hotel Grand Mercure Kemayoran, Jakarta pada 6 Desembere lalu, Manajer Program KFX/IFX PTDI Heri Yansyah menyatakan bahwa berdasarkan MoU, TNI AU akan mendapatkan tiga skadron IFX atau berjumlah 48 unit. “Seluruh pesawat IFX nantinya akan di produksi oleh PTDI,” ujar Heri saat itu. BORNEONEWS, Pangkalan Bun - Rencananya tahun 2020 bakal dimulai proses pembangunan Pangkalan Angkatan Laut (Lanal) Kumai. 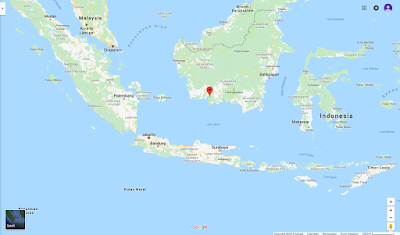 Pasalnya lahan untuk pembangunan Lanal tersebut sudah disiapkan Pemkab Kotawaringin Barat (Kobar) yang berlokasi di pinggir Sungai Kumai dekat dengan lokasi PLTU EEI Kumai. Komandan Pos Angkatan Laut (Danposal) Kumai Letda (P) Sudjito, Jumat (25/1/2019) menjelaskan, anggaran pembangunan Lanal Kumai tersebut sudah disiapkan oleh TNI AL pada tahun 2020. "Kami sudah mengajukan rencana lokasi lahan seluas 10 hektare yang berada dipinggir Sungai Kumai dekat PLTU Jalan Angkatan Muda, Desa Sungai Kapitan. Syukurlah dalam hal ini kita didukung penuh oleh Pemkab Kobar terkait proses pembebasan lahan, jalan masuk lokasi Lanal dan legalitasnya," jelas Danposal yang juga anggota Pasukan Elite TNI AL yaitu Komando Pasukan Katak (Kopaska). Menurut Danposal, rencana awal pembamgunan Lanal tersebut sedikit mengalami perubahan dari rencana semula yang berada di Jalan Pangkalan Bun Kumai dekat markas Brimob Kompi B Pangkalan Bun dan Basarnas. "Karena sesuai petunjuk pimpinan, Lanal sesuai lingkup tugas kita di wilayah perairan lokasi Lanal berada di dekat laut atau Sungai Kumai. Sehingga nantinya dermaga Lanal tersebut bisa disinggahi kapal perang milik TNI AL," jelas Danposal. Ia kemudian menjelaskan spesifikasi Lanal Kumai bila nantinya sudah terealisasi. "Lanal Kumai nantinya memiliki tipe D dengan komandan berpangkat Mayor. Sedangkan jenis kapal yang nantinya bakal berpangkalan di Lanal Kumai, saya belum bisa memastikan lantaran hal tersebut adalah kewenangan pimpinan," jelas Danposal. The launch of Fearless is a significant milestone in the RSN's continued transformation to enable it to continue safeguarding the sovereignty and security of Singapore's waters. The LMV programme is progressing well. Since 2017, five LMVs – RSS Independence, RSS Sovereignty, RSS Unity, RSS Justice and RSS Indomitable – have been commissioned. 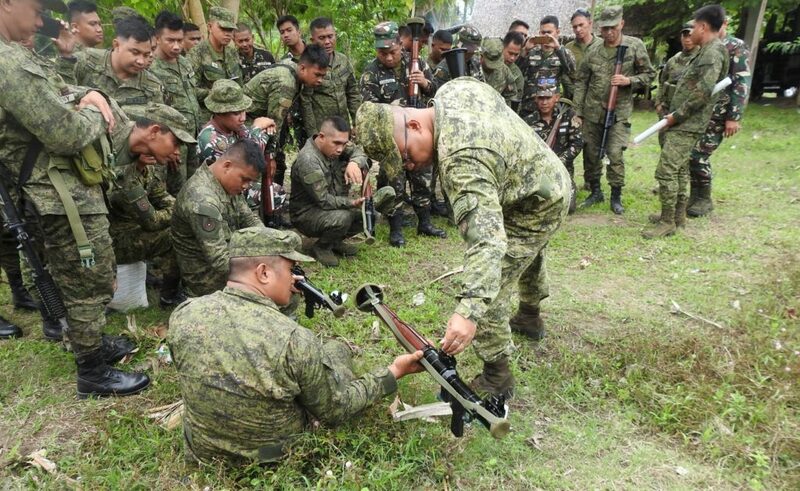 They have rapidly assumed and effectively executed operational duties, including the DPRK-US Singapore Summit and daily maritime security patrols, and have participated in exercises such as the ASEAN Multilateral Naval Exercise and Singapore-India Maritime Bilateral Exercise. LMVs Fortitude and Dauntless, launched in 2018, are undergoing sea trials and will be commissioned later this year. All eight LMVs will be fully operational by 2020. Last year many of you still remember the impressive scene on the front of the RTAF history, is the arrival of the "Golden Eagle" T-50 TH, the latest fighter training aircraft From the Republic of Korea. And from the moment that the aircraft of the first batch touched the ground of the Takhli Airfield, the 4th Wing. Until today was the full year it is the beginning of a very important mission in the production of fighter-pilots for the Army which we would like to take all of you back to the story of one year of organic gold. After we received the first two T-50 TH aircrafts, everyone in the 401 Squadron, Wing 4, whether they were pilots and all officers are prepared in terms of knowledge and related things along with new technologies that have been received by starting the first step with the pilot's flight training in increasing expertise with the aircraft. And after that we received two more, which now means that we have 4 T-50 THs. We all intend to train ourselves both in aviation and maintenance, including the selection of personnel with knowledge and ability to enter the fleet more. 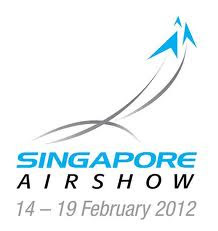 Recently, we have begun to specialize in our new aircraft. 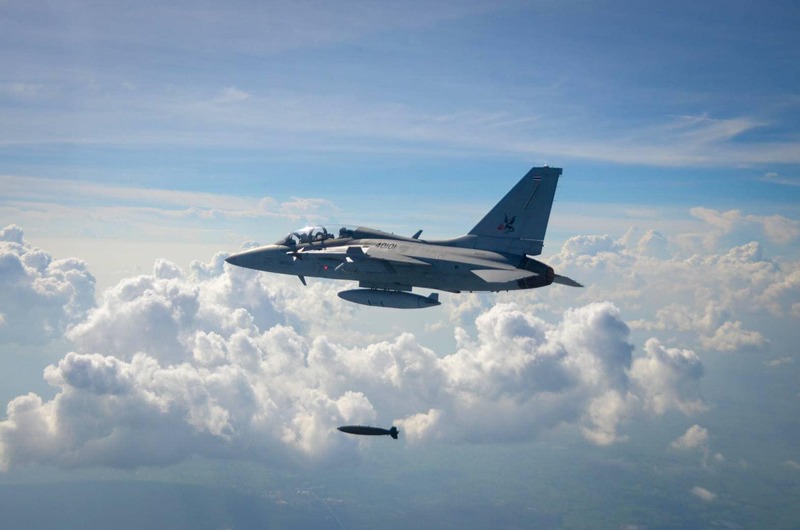 The next step is to make the aircraft a perfect fighter, by testing, installing and using weapons to ensure that aircraft can be used safely and efficiently. And then the important test has arrived, that is the 62nd annual airborne weaponry competition. It is the pride of everyone in the squadron. In less than a year, we can develop ourselves quickly. Until able to send flying groups to compete in the competition type, use of basic weapons, or Box Pattern, and the voice of joy is loud in our fleet. When the squadron commander can win the first prize for the air cannon which guarantees that the squadron is ready for the mission including our aircraft with precision in using weapons as well. All of the above Is part of an important first step. We realize that there are still many things waiting for us to prove ourselves. Everyone in the 401 squadron wishes to pledge we will devote ourselves to "strive" and continue to develop as "Mang Kong", ready to work to create "confidence" to the goal of creating a powerful fighter-driven pilot. The weather is real today. TEMPO.CO, Bandung -Direktur Utama PT Pindad Abraham Mose mengatakan, pendapatan PT Pindad tahun 2018 lampaui target. “Di 2018 pendapatan kami di atas target RKAB (Rencana Kerja Dan Anggaran Biaya). Revenue kami Rp 3,2 triliun,” kata dia di Bandung, Kamis, 24 Januari 2019. Abraham mengatakan, laba bersih yang diperoleh tahun lalu juga melampaui perolehan laba tahun lalu yang menembus Rp 94 triliun. “Laba kami kurang lebih di Rp 98 miliar,” kata dia. Menteri BUMN Rini M Soemarno sempat mencoba kendaraan angkut tempur Anoa buatan Pindad. “Saya juga sudah coba Anoa, nyupir sendiri. Alhamdulillah selamat. Saya yakin prajurit kita kalau pakai Anoa selamat karena saya nyetir aja selamat. Pasti selamat,” kata dia, Kamis, 29 Januari 2019.